Should Opera dump its desktop browser? Great browser, tiny market share. So why bother? Whenever we write about a new version of Opera, we feel like Top Gear's James May updating the audience on the Dacia Sandero. Opera isn't a bad browser by any means - quite the opposite - but like the Dacia, it's something foreigners go for while we don't. Don't believe us? While Opera has Firefox-sized market share in markets such as Russia and the Ukraine, it struggles to reach 3% globally. That hasn't changed for years, and we very much doubt that the browser's US and Western European market share is going to change with Opera 10 now. So why doesn't Opera just dump the desktop? The case for dumping the desktop seems solid enough. 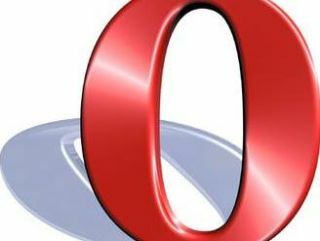 Now that Firefox has been joined by Safari and Chrome in the fight against Internet Explorer, Opera is almost certainly wasting its time trying to compete. Opera 10 is a good browser, but so was Opera 9, and Opera… you get the idea. Perhaps the ballot screen on EU versions of Windows 7 will boost the Western European numbers somewhat, but we're not holding our breath. The thing is, Opera is an enormous success on everything but the desktop. It's in the Wii and the DS, it's in set-top boxes, it's in Adobe's Creative Suite applications, it's on tens of millions of mobile phones, and when it comes to mobile browsing Opera continues to kick Apple's iPhone arse. It's all the more galling because Opera is an innovator - and its innovations invariably get half-inched and bashed into browsers with bigger market share. From tabbed browsing to mouse gestures, anti-phishing to pop-up blocking, Speed Dial to feed reading, you'll find Opera's features baked in to the big browsers or available via add-ons or plugins. Essentially, then, Opera is acting as the R&D department for every browser maker on Earth. So there we have it. Opera should dump the desktop and spend its time on things that actually make money. There's just one small problem with that. Actually, two. The first is that Opera's mobile versions learn from the technology Opera puts on the desktop, and the second is that desktop Opera is considerably more lucrative than you might think. If you pop along to Opera's investor section, you'll see that revenues from desktop Opera jumped 93% between Q2 2008 and Q2 2009. During the quarter, Opera brought in 172.4 million Kroner, of which 44.8 million came from desktop revenues: that's a hefty four and a half million quid, or just over £18 million per year - and as Opera is targeting emerging markets where the IE/Firefox double act is less well established, those sums could well increase dramatically. We wish our bank accounts were as disastrous as that.